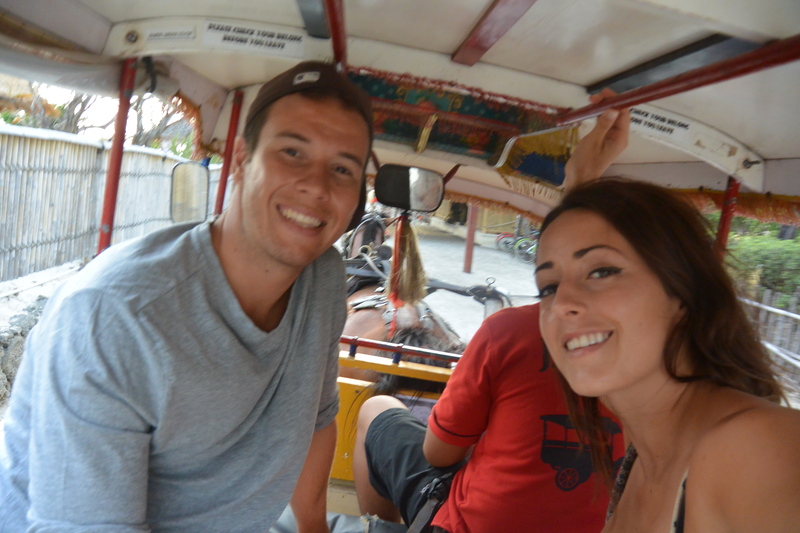 From Amed, we took a boat across to Gili Trawangan, the most populated of the Gili Islands. We bought our ticket the day before, they are sold all over in Amed, and just showed up that morning to get on the boat. 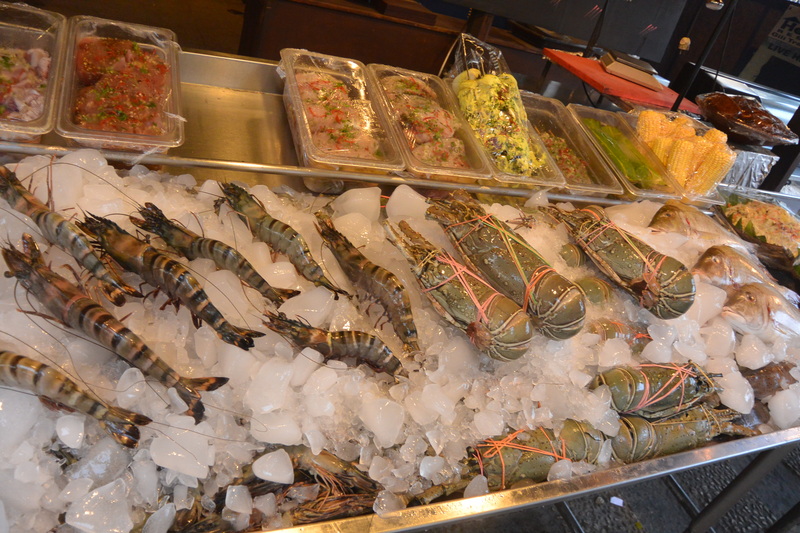 It was about $5 USD per person. The boat ride was about an hour, and would have been lovely except for the wind. The waves were massive, and everyone on board was getting soaked. The woman sitting right in front of me had a brand new baby, he couldn’t have been more than a week old, and they were both getting drenched so we used our towels to make them a fort. We didn’t have a place to stay booked on the island because most of the smaller homestays don’t have an online presence, but we found a cheap, clean room within a few minutes just by walking around and checking a few places out. 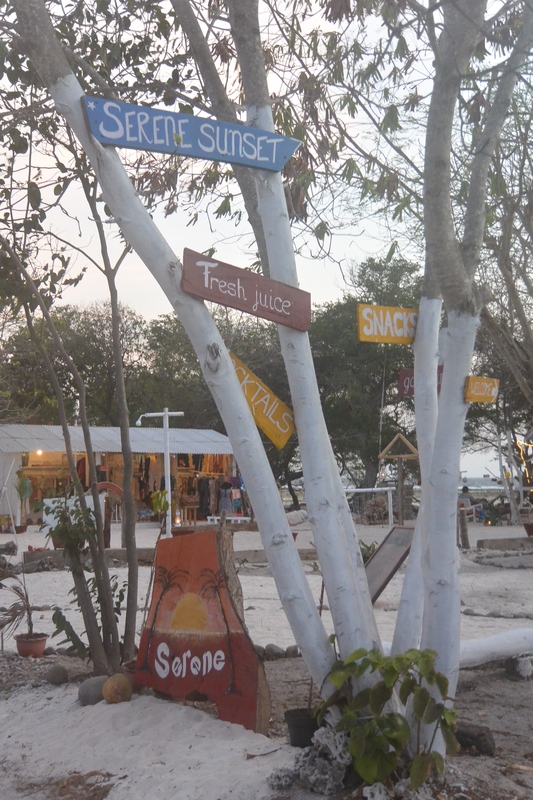 The very first thing we did once we dropped off our stuff was make a bee-line for the fruit smoothie carts, it was similar to Sanur in that you could get almost any kind of fruit smoothie for about $1 USD. 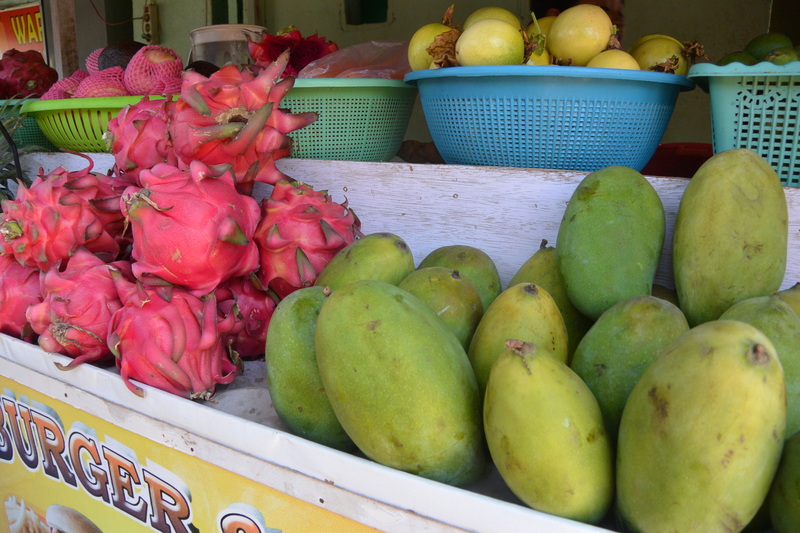 I got mango and dragonfruit, and just laid on the beach pinching myself. These photos have not been edited or filtered, that’s just what colour the water is. 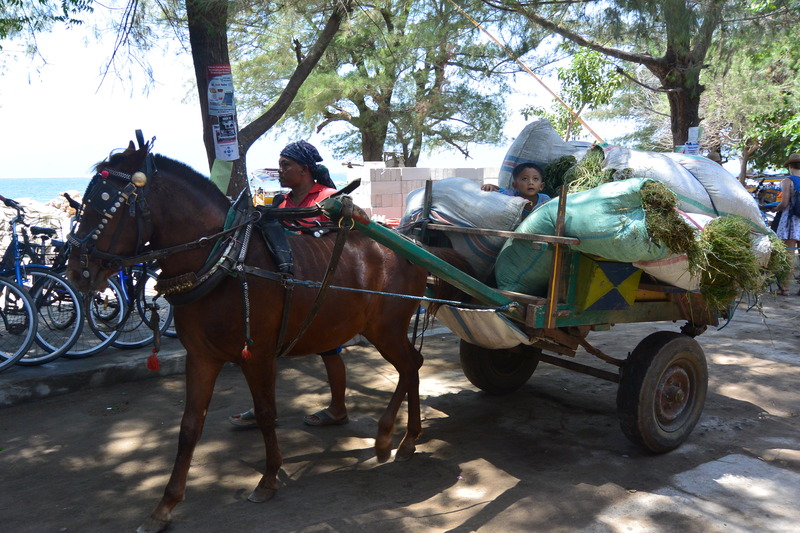 There are no cars on Gili T, just carts pulled by donkeys, so it’s a lot of walking, but the island is so small that it doesn’t matter. 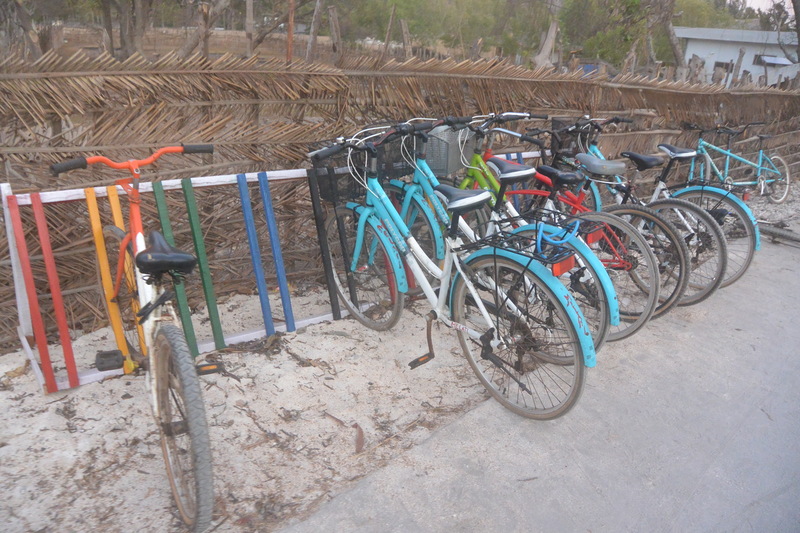 There are bikes for rent all over the place, and you can ride around the whole island in like an hour and a half. 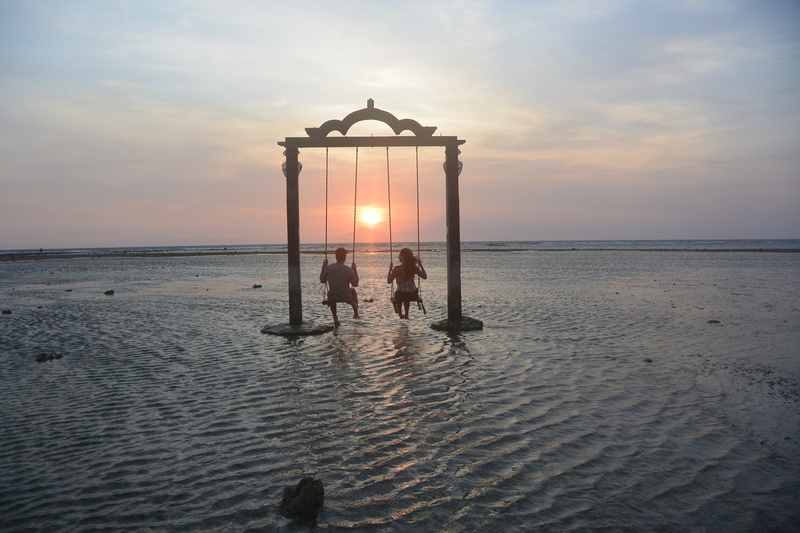 The night of D’s birthday we took a donkey to the other side of the island to the Ombok Sunset resort to see the sunset, which is where the swing-set in the water is. There were a bunch of people lined up to get their picture taken so I kind of didn’t want to do it, but then a cloud came and covered the sun so everyone thought that was the end and started leaving, and right then the sun popped back out, and the sky was gorgeous. 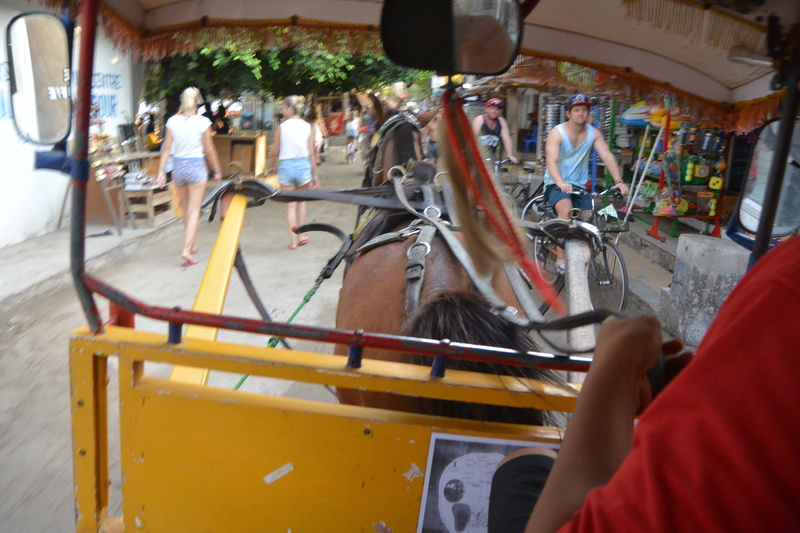 The donkey carts aren’t made for very big people, D kept hitting his head every time the donkey took a step, so we just ended up walking back. The main area in Gili T where the boats drop everyone off is actually pretty crowded, we were there in late October, coming up on the rainy season, and still it was very busy. 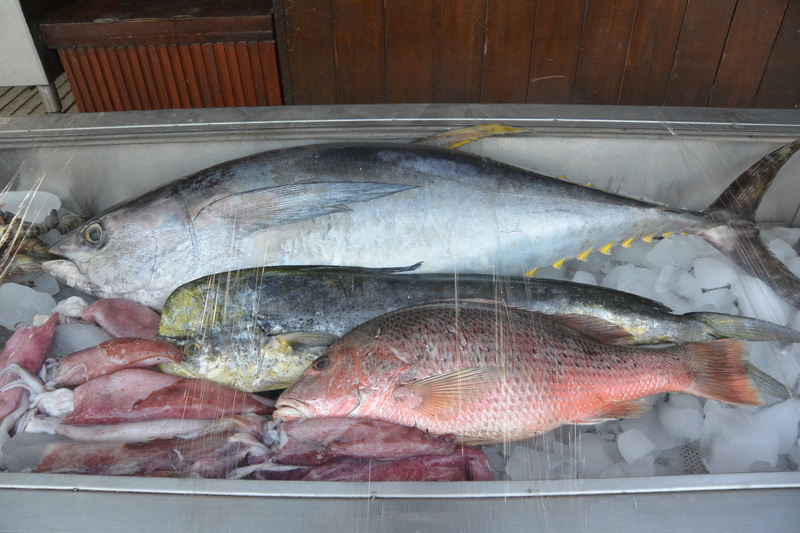 There are lots of good restaurants on that side (try the butterfish! 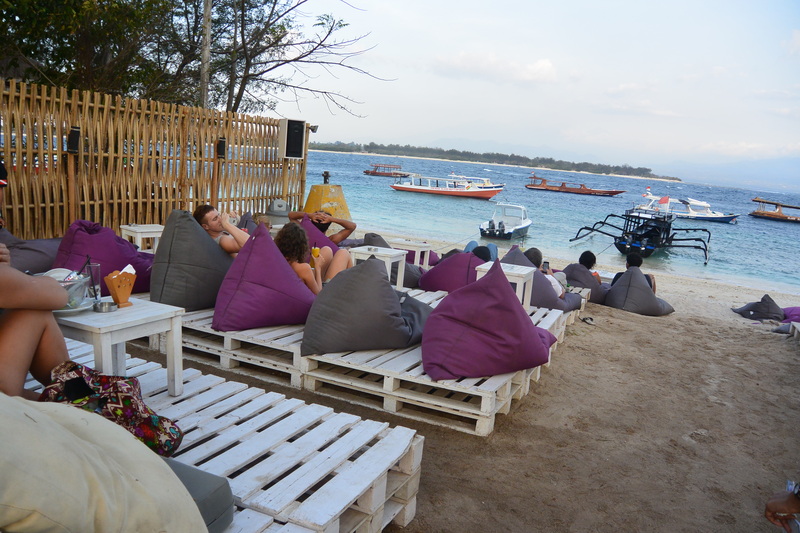 ), and if you walk down to the Ombok (there are 2 on the island) on that side they show movies on the beach every night, and it’s pretty much perfect. 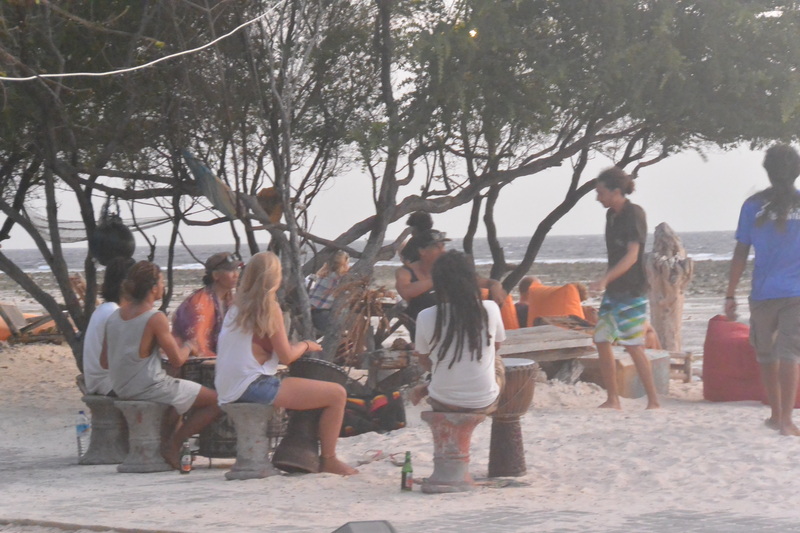 But if you leave the main area, and head either way on the island, it’s a lot more chill, with some awesome beach bars, and a much quieter vibe. 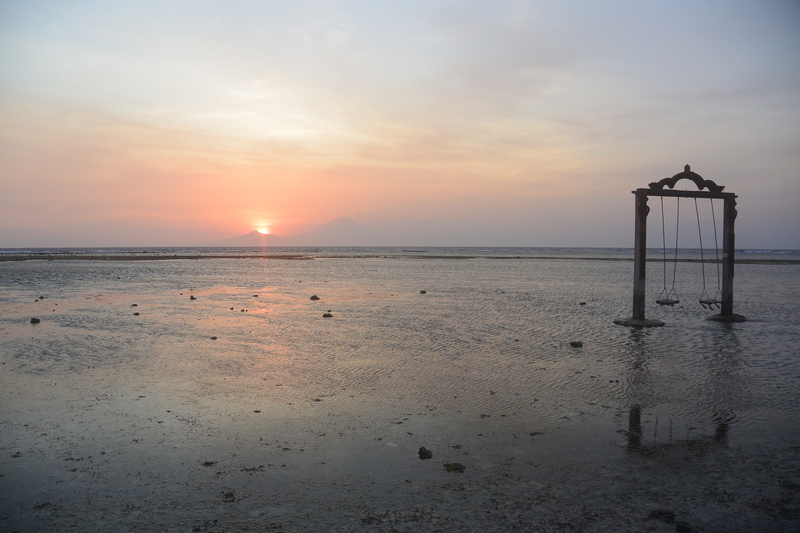 We had four days on Gili T, and honestly, that was enough for me. It really was so busy, and the diving wasn’t that great. 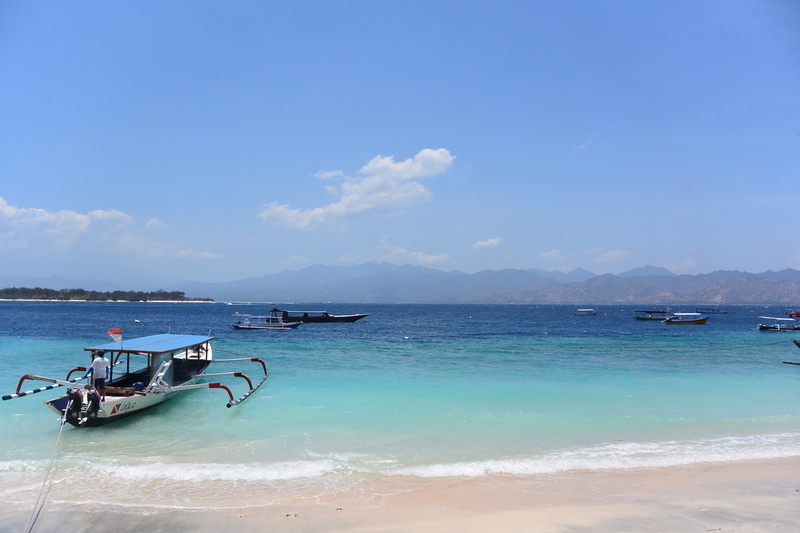 I kept hearing that it was amazing, but then I was told that a lot of the people diving in Gili T are just getting certified, and so they don’t really have anything to compare it to, so of course they think it’s amazing. It definitely had nothing on Flores. 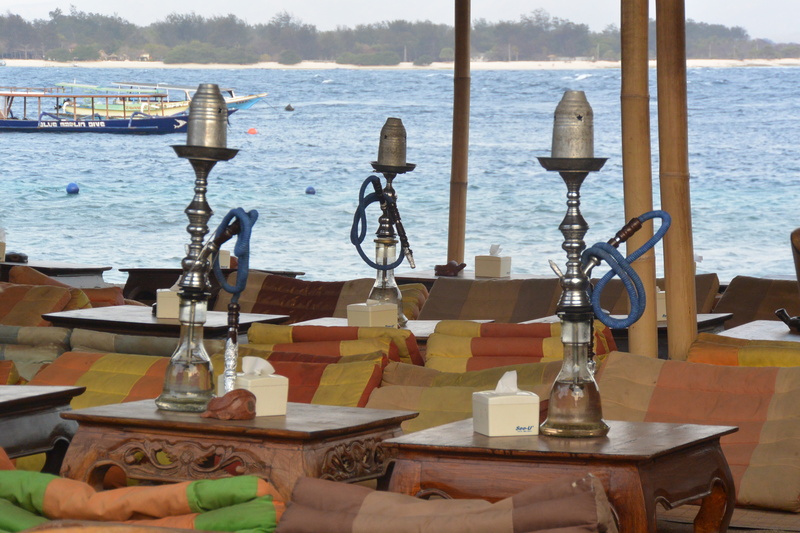 I was talking to someone a few days ago who had been to Gili T 20 years ago, and he was telling me how unpopulated it was, how there was only 3 restaurants on the whole island, and they shared a generator, so only one of them would be open on any given night. I wish I could have visited back then. 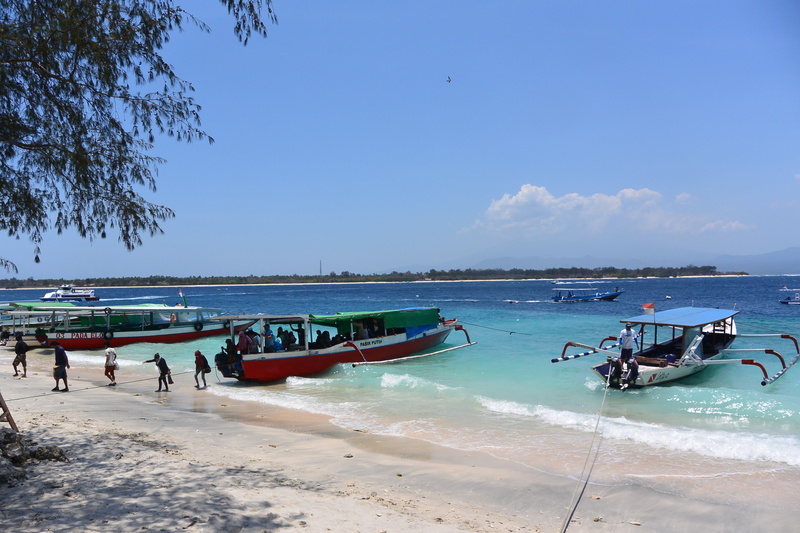 I would love to go back to the Gili’s though, there are two other islands, Gili Air and Gili Meno, which are much less busy, and more laid back, so that will be my next visit. 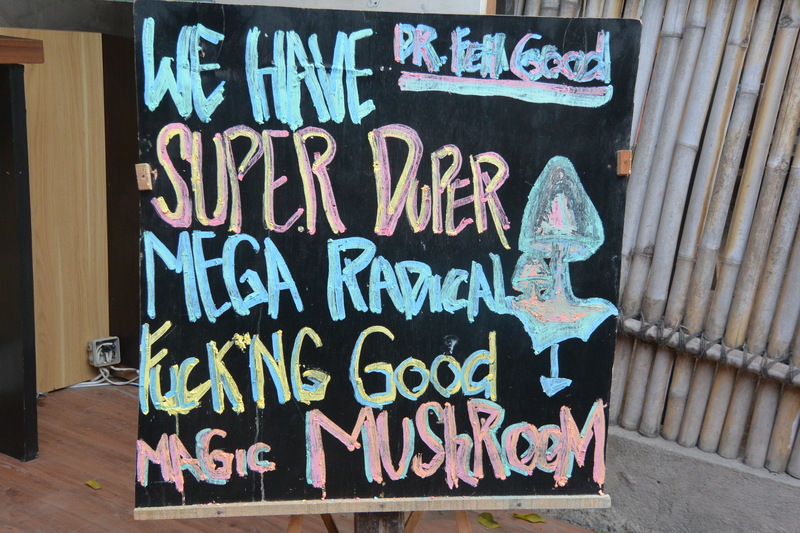 One word of caution though, the Gili’s get their power from Lombok, so power outages there are not unusual, and wi-fi is kind of terrible, which is fine because that’s not why you are going to Gili anyway, but just something to be aware of. 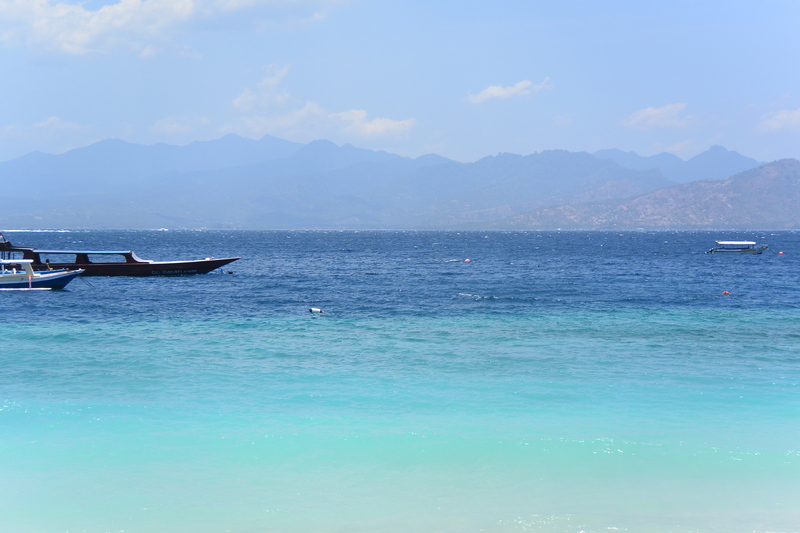 Pingback: lombok: senggigi AKA how not to renew your indonesian visa | loveliness.